The force of the fatal crash between a Metro-North commuter train going nearly 60 mph and a stopped SUV was so severe that the electrified third rail broke off and pierced the vehicle's chassis and gas tank before penetrating the first train car and igniting a "fierce fire," investigators said Wednesday. Six people -- five men inside the train and the SUV driver -- died in the crash Tuesday night along the Harlem Line in the Westchester community of Valhalla. The train thrust into the vehicle's side and pushed it along the tracks for up to 1,000 feet, said National Transportation Safety Board officials Wednesday. For about 400 feet, the third rail, coated with gasoline from the SUV, started breaking apart in about 80-foot sections that were "shoved into mostly the first rail car and at least one piece penetrated the second rail car," sparking the inferno, said NTSB board member Robert Sumwalt in a news conference at the scene, where charred remains of the train were removed to a storage yard. "The entire interior of the first rail car was burned out," Sumwalt said. What is most puzzling to investigators at the scene is why the SUV was on the grade crossing as the warning gate lowered and slammed it on the rear -- seconds before impact. "For reasons that are not precisely known at this time, for whatever reason, the Mercedes SUV was stopped on the tracks," Sumwalt said at a news conference. Gov. Andrew M. Cuomo said Wednesday night that the Harlem line would restore service with Thursday's 4:26 a.m. departure from Southeast, which should arrive at Grand Central Terminal at 5:30 a.m. There will be delays, and trains will slow down near the accident site, he said. In coming days, the NTSB team will interview the conductor and engineer, and analyze the crash from every possible angle, he said. "We've got several busy days ahead of us," he said, with the goal being to "find out what happened and why it happened . . . to keep this from happening again." Their tools are video surveillance, witness accounts and information gathered from event recorders on the train, crossing gate and crossing signal. 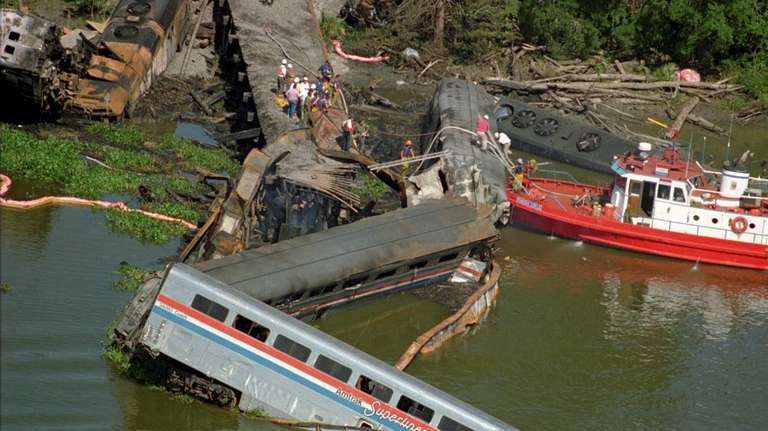 SEE PHOTOS 10 deadly mass transit disasters in U.S. The NTSB also plans to conduct a sight-distance test to determine the point at which someone who is stopped on the tracks would see a train coming -- or at what point the train's engineer would see them. Sumwalt also said that there is no indication that the crossing signals and crossing gates at that intersection weren't working well. Metropolitan Transportation Authority spokesman Aaron Donovan said the victims' names are being withheld pending notification of relatives. 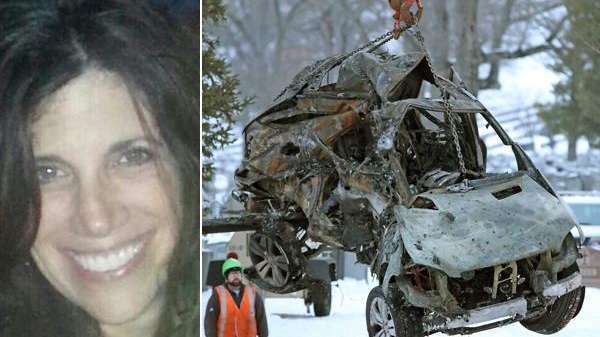 But according to records, officials and interviews with friends and co-workers, three of the dead were identified as Ellen Brody, 49, of Scarsdale, the driver of the SUV; and train passengers Walter Liedtke, 69, and Eric Vandercar, 53, both of Bedford Hills. Wednesday, investigators pored over the burned-out train that held hundreds of people during the crash and took away the SUV. A county police helicopter used infrared thermal imaging to search the hills and the snow for possible victims who might have wandered into the nearby cemetery and collapsed from their injuries, but the aircraft found no one, Valhalla Fire Chief Roger King said. Investigators are focusing on the potential for driver error, lighting at the crossing, the gate itself, and the third rail, among other factors, Sens. Charles Schumer (D-N.Y.) and Richard Blumenthal (D-Conn.) said in a conference call. Schumer said the MTA and the Federal Railroad Administration are also conducting their own probes. He said the fact there may have been traffic at the Westchester crossing at the time because cars were being diverted from another road also "may have had something to do with this." According to Sumwalt and King, who had just responded to this accident, a head-on collision on the Taconic State Parkway and Lakeview Avenue earlier was causing serious congestion on Commerce around that time and had caused a major traffic detour. Sumwalt said the two major questions are what was the vehicle doing in the crossing, and what effect, if any, did the traffic detour play in this crash. The train was traveling about 58 mph, within the limits, when it "bulldozed the car for quite a distance," Schumer said. Blumenthal, like Schumer, said he will push for fast answers from investigators. "This kind of horrific, terrible crash was preventable -- that's the lesson here," Blumenthal said. "It was preventable with the right kind of equipment, functioning properly, and the right kind of behavior on the part of either the driver of the car, the driver of the train, and others involved." 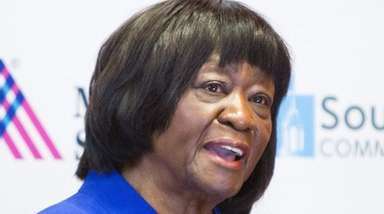 He also said that "clearly, if a driver recklessly or needlessly crossed that guard at a time when it was indicating that there was a danger in doing so, we need to know about it, so others will be educated and made aware about those dangers." Sumwalt said the NTSB would likely be at the scene for about a week, "collecting perishable evidence, evidence that can go away with the passage of time." He said investigators hope to interview the train's operators within 24 to 48 hours, understanding that they've been through emotional and maybe physical trauma. "We want to make sure they're in a position that they can comfortably speak to investigators -- but that's a high priority," he said. Recorders on the trains, signals and crossing gates should also help investigators determine what happened and whether there was a change in the train's speed, a whistle blown, and when the gates and signals were activated. MTA chairman and chief executive Thomas Prendergast and Metro-North president Joseph Giulietti were working in collaboration with the NTSB on the probe, the MTA said in a statement. "The entire MTA family's thoughts are with the relatives and loved ones of the victims of last night's tragedy," Prendergast said. "We are tremendously saddened by this tragic accident, and our thoughts and prayers go out to all of them. We also thank the first responders who assisted with safely removing the passengers from the trains and transporting those who were injured to area hospitals." The conductor and engineer were both injured, Donovan said, but he was unsure the extent of their injuries or whether they were hospitalized. Westchester County Executive Rob Astorino said Wednesday that all except for one of the people who died "were burned beyond recognition, so we're going to need dental records to try to identify the bodies." Many of the victims were from Westchester, he said later Wednesday at the Westchester Medical Center campus. "They have an idea of who all the victims are, but until they get a positive identification through the records," names will not be released, Astorino said. Astorino said he met with the wife of a victim from the Town of New Castle. "She's in total shock," Astorino said. "She obviously saw what happened last night. 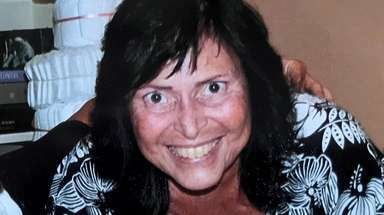 She didn't get a call, her husband didn't return home. She then called the police and she was asked to bring the records in."